The monthly KACC networking luncheon is our most popular event, having hosted everything from stand-up comics to elected officials (insert joke here) and is a fantastic opportunity to meet not only other businesses, but a wide range of community leaders. The Networking Luncheon is held on the third Wednesday of every month at Life Fellowship Church, 611 N Little School Road from 11:30-1pm with a new speaker and sponsor each month. Tickets are $15 for members, $20 for guests. Some membership levels include tickets, inquire for more details. Check out the calendar for links to register for each luncheon, and email us for information on sponsorship. April 17: State of the County Tarrant County Commissioner presents his annual state of the county report. 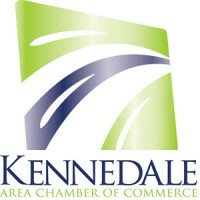 May 15: Best of Kennedale 2019 Join us as we present awards to top city and school staff, teachers, and volunteers.